Owen Korb is an indie filmmaker in Los Angeles who recently completed his first feature film "Pull Up LA." It's a documentary about Los Angeles creatives using social media to meet up together in the city and explore their creative sides. It's won several awards at film festivals including Best Feature Documentary and Best Director. We talk about how he made the film, and how the meet up culture can be an inspiration to people of all walks of life. John Fusco is a well known writer and producer of such films as "Young Guns", "Hidalgo", "Thunderheart" and his Netflix series "Marco Polo." His new film, "The Highwaymen" starring Kevin Costner and Woody Harrelson opens in select theaters March 15th and will be released worldwide on Netflix March 29th. The story follows two retired Texas rangers who were hired to hunt down the infamous Bonnie and Clyde. Alex Ferrari is a writer, producer and director of films such as "This Is Meg" and "On the Corner of Ego and Desire." He is also the creator and host of the Indie Film Hustle podcast and the Bulletproof Screenplay podcast. Alex's mission is to share valuable information with indie filmmakers, drawing from his 25 years of experience in the industry. Recently he launched Indie Film Hustle TV, the Netflix for filmmakers. On top of that he wrote a book "Shooting For The Mob" based on true events in his early filmmaking career. Patrick Green is a talented indie filmmaker whose new documentary, "For Your Consideration” is now screening at various film festivals. We discuss many aspects of documentary filmmaking such as story structure, animation, and fair use. Patrick is our first returning guest on the Indie Film Grit podcast and it's great to have him back to talk about his work. Mark Stolaroff is an award winning producer who's been making indie films for many years and he is also the founder of No Budget Film School. His new feature film, Driver X, stars Patrick Fabian (Better Call Saul) and will be available in theaters and on demand November 30th. We talk about his approach to making indie films, crowdfunding, casting actors, and how to make the most of a film budget. Alejandro Montoya Marin is a writer/director/producer who can be seen making his first feature film "Monday" on the El Rey Network's original series "Rebel Without A Crew." Along with four other indie filmmakers, he was selected by Robert Rodriguez to make a feature film in 14 days with only $7000 and no crew. We talk about his film, his experience on the show, and what it's like to make a film with such extreme limitations. The series premiere of "Rebel without a Crew" is Sunday November 18th on the El Rey Network. Diane Bell is an award winning director and screenwriter who's first feature film "Obsoledia" premiered and won at The Sundance Film Festival. Her second film "The Bleeding Heart" starring Jessica Biel, debuted at The Tribecca Film Festival. We talk about how she her start as a screenwriter working for the director of Die Hard, and why it is so important to "Shoot from the Heart" which is the title of her live workshop and her book for indie filmmakers. Matt Cruse is an indie filmmaker who recently wrote, produced and directed his first feature film "The Watcher Self", available now on Amazon. We talk about many aspects of filmmaking including scriptwriting, sound design, and how to use dialogue effectively. Matt shares his experiences working in television at the BBC and gives useful advice and insights for fellow indie filmmakers. Steve Vitolo is the CEO and founder of Scriptation, a script annotation app designed specifically for film and TV production. We talk about how he made his way through the industry as a writer's assistant, script coodinator, and TV writer on such shows as Black-ish, Crowded, and Hot in Cleveland. Steve shares his experience with the writers' room, working in TV, and how he came up with the idea for his game-changing app, Scriptation. Joining me today is Killarney Traynor, an indie filmmaker from New Hampshire. She is an experienced actor, writer, director, and stuntwoman. Her new feature film "Michael Lawrence" is a detective mystery that will soon be available on Amazon Prime. We talk about her experiences acting, writing screenplays, directing films and what it's like to perform stunts on camera. And we also talk about how old westerns influenced her as a filmmaker. Steve Olson is the lead actor in the new feature-length comedy 'Fishbowl California' now available on Amazon, Apple TV, and other VOD platforms. We talk about his acting journey and Steve shares insight into acting classes, auditions, commercial work, sitcoms, and how Bruce Campbell inspired him to pursue an acting career. Jeffrey Michael Bays, also known as "The Hitchcock Whisperer", joins us for an interesting conversation about Alfred Hitchcock and indie filmmaking. Jeffrey is an indie filmmaker and also the author of such books as "Between The Scenes", "How To Turn Your Boring Movie Into a Hitchcock Thriller", and his latest "Suspense with a Camera". We talk about his filmmaking journey, his web series "Hitch20", his feature film "Offing David", and all things related to Hitchcock. I'm joined by indie filmmaker Sam Hoggarth to talk about his latest short film "Envy". Sam shares stories about the making of the film and what inspired him to tell such a dark tale. "Envy" has won many awards at film festivals including: Best Director, Best Writing, Best Actress, and Best Narrative Short. After it's festival run, "Envy" will be released online October 31st, 2018. I have a great conversation with actress Tami Stronach who played the Childlike Empress in The Never-Ending Story. Tami is an actress, dancer, and she produces family entertainment content at The Paper Canoe Company. We talk about her journey and Tami shares some of her experiences making The Never-Ending Story. In this episode, I talk with Head of Crowdfunding at Seed & Spark, Gerry Maravilla. He shares valuable info about crowdfunding as well as his own filmmaking journey. We talk about his role at Seed & Spark, the benefits of building an audience, his short film "Cross", and we even talk about pupusas. In this episode, I have an amazing conversation with Klaus Badelt. He is well known in the film industry as a successful musical composer who has created the scores for hollywood films like "Pirates of the Caribbean", "Gladiator", and "The Time Machine." Klaus has also created an exciting new way for filmmakers to distribute their films worldwide with Filmhub. It's easy, it's free, and it's a game changer for indie filmmakers. Sign up to Filmhub to receive a special discount package for Indie Film Grit subscribers. On Filmhub, streaming channels discover your great work on the largest online marketplace for indie film & TV. Conversion, delivery and everything else is free, with no money upfront. And we handle all payments, with transparent online reports. See your film streamed right next to big budget studio films. Our growing network includes already 50+ streaming services like Amazon, Netflix or China Mobile. Simply upload, create digital revenue around the world, and focus on making great films and shows. Indie Film Grit subscribers keep 100% revenue from all streaming channels for a year – and get a free translation of subtitles and synopsis. 100% free distribution! In this episode, I talk with two indie filmmakers from New York, David Joseph Volino & Victoria Ratermanis. We talk about their new short film, "The Rose Garden" which is an engaging character-driven film co-starring David and Victoria. It has proven to be a festival favorite, winning many awards including Best Actress, Best Actor, and the Audience Choice Award. In this episode, I talk with producer/writer/director Mark Schwab. 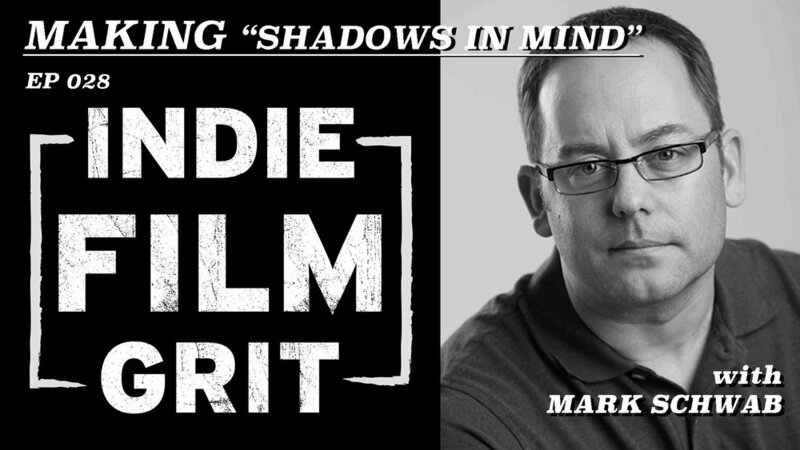 We talk about his new feature film, "Shadows In Mind" which is a captivating LGBT thriller. Mark shares insight into indie filmmaking, what its like working with a talented cinematographer, and how his approach to making films has evolved over time. In this episode, I talk with producer/director/writer/editor Alexia Anastasio. We talk about her documentary films, including "Adventures in Plymptoons!" and "Beyond The Noise." And we also discuss how Transcendental Meditation can be a powerful tool for the indie filmmaker. In this episode, I have a great conversation with producer/actor/screenwriter Richard "RB" Botto. He is the founder and CEO of Stage 32 and author of "Crowdsourcing for Filmmakers". We talk about the importance of understanding both the business side and the creative side of making films. And RB explains why crowdsourcing is crucial to the success of your film. In this episode, I talk with indie filmmaker Bryce Hirschberg. We talk about the many hats he wore while making his feature film, Counterfeiters. His film has won many awards at multiple film festivals all over the world, including Best Feature and Best Actor. In this episode, I talk with writer/director Patrick Green. We discuss the pros and cons of guerrilla filmmaking and his short film, TAG, about a graffitti artist in Los Angeles. TAG was officially selected at over two dozen film festivals around the world and is now available on Vimeo. In this episode, I'm joined by producer/writer/director Kim Ray. Her recent documentary Gaga: Five Foot Two, follows music icon Lady Gaga and climaxes with a Super Bowl half-time performance. The film premiered at the 2017 Toronto International Film Festival and was then released worldwide on Netflix. Kim shares insight about attending USC film school, working in reality television, and also her passion for Sci-Fi Action films. In this episode, I talk with director Brian Barnes who's been making indie films since 1987. The Redeeming is his new feature film and it world premieres at the Horror-On-Sea film festival January 28, 2018. We talk about film school, corporate videos, directing live television, film festivals, and how he made his first feature film for next to nothing. Check out Brian's video course Succeeding In Corporate Videos and use promo code IFG30 to save 30% on your order. In this episode, I talk with indie filmmaker Jed Brian, the writer/producer/director of the feature-length horror film, Unlisted Owner. We talk about his experience getting a distribution deal at The American Film Market (AFM), as well as the success of his film on Amazon. In this episode I have an insightful conversation with Jeremy Wanek. He's a busy man, working not only in VFX but also as an editor. We talk about his filmmaking journey and dive deep into film editing and Visual effects. In this episode I talk with Joe Badon, the writer/producer/director of a new feature film called The God Inside My Ear. Joe shares his approach to indie filmmaking as well as his experience working in the biz as a storyboard artist. In this episode, I talk with writer/director Ben Sledge and award-winning actor Dan Franko about their new film, The Recursion Theorem. It's a sci-fi noir short with influences ranging from The Twilight Zone and Greek Mythology to the classic arcade game Asteroids. Ben and Dan share insights to locations, acting, storytelling, and how to buy a dead bird. Adam Keleman wrote, produced, and directed Easy Living, a new feature film that premiered at SXSW Film Festival this year. He talks about the differences between making short films and a feature-length film. We also talk about how to go about getting your film accepted into film festivals. In this episode I talk with the creators of Joshua, a new short film by writer Jason Krieger and director Cooper Griggs. It recently screened at the Marina Del Rey Film Festival and won an award at the Global Shorts Film Festival. Jason and Cooper share insights to the filmmaking process from casting to creating an original film score. The Sucklord is a New York pop artist, a reality TV show contestant, and an indie filmmaker. In this episode, we talk about Toy Lords of Chinatown, his independently produced series on youtube. It takes place in an analog future where super-villains wage war in Chinatown, NY. The Sucklord shares stories about his guerrilla filmmaking process and how he developed concepts for his characters and storyline. In this episode, I talk with indie filmmakers Marcus Scott and Heath Hetherington of OBD films. We talk about their new feature film Recovery which is available on Vimeo on Demand Oct. 13th. We also touch on casting, locations, film scores, and what they learned from making their first film. As a documentary filmmaker and a video producer, I have interviewed hundreds of people over the last 10 years. Whether I'm interviewing a rock star, a business owner, a stand up comedian, or a social activist, the process is pretty much the same. So I thought I'd share with you 10 Tips for Documentary Interviews. John Gilstrap is the New York Times bestselling author of the Jonathan Grave thriller series and other fiction and nonfiction books. John has written multiple screenplays for Hollywood, adapting the works of Nelson DeMille, Norman MacLean and Thomas Harris. He’s also contracted to write and co-produce the film adaptation of his book, Six Minutes to Freedom. Sherman Allen has been acting in TV and Film since he got his SAG card in 1983, and he's been playing rock n' roll guitar even longer. We talk about his roles on Better Call Saul, Longmire, and his character in the upcoming film Soldado, the next chapter of the Oscar-nominated film Sicario. Books can be a powerful ally when it comes to making indie films. In this episode, I focus on 5 great Films About Filmmaking. I enjoy reading these 5 books and I would recommend them to anyone interested in making movies. Books! Check 'em out! Cory Baker is an indie filmmaker and host of "O" The Anthem Podcast. Originally from Baltimore, Cory recently made the move to Los Angeles to pursue a life in filmmaking. He talks about his screenplays, projects he's worked on, and shares his love for Bull Durham. Sanjay Burman is the CEO and Co-founder of IndieVue.com Sanjay talks about why he created Indievue as a new distribution platform for indie filmmakers. He also shares stories about film school and how he made his mark on Hollywood at a young age. Dom Aiken is a composer and winner of 3 Global Music Awards, one for composition, one for album, and one for creativity. He shares insightful stories about scoring indie films and talks about how to choose the right school for learning music composition. Will Reynolds is a carpenter and propmaker who currently works in TV and Film. His work can be seen on shows like Car Warriors and MasterChef with Gordon Ramsay. We talk about his journey and how he acquired his woodworking skills. And Will explains how his love for film brought him to film school and ultimately all the way to Hollywood. Throughout the history of cinema, audiences have found the process of filmmaking to be a fascinating subject. Seeing the “behind the scenes” workings of Hollywood is a special treat and for indie filmmakers it can provide real insight. In this episode, I focus on 5 great Films About Filmmaking. This is in no way a definitive list, but rather a list of films I chose to talk about that have influenced me and are related to filmmaking. Bill Allen has been acting in film and TV since he was a teenager. With over 30 years of experience in Hollywood, he can been seen in everything from Family Ties to Breaking Bad. Bill is best known for playing Cru Jones, the lead character in the 1986 cult movie classic RAD. Bill talks about living in Hollywood during the 1980s, working with Indie Filmmakers, tips for young actors, and what it's like to be a cult hero. We also talk about his best selling book, My RAD Career which is a memoir about coming up in the film industry with his actor friends Brandon Bruce Lee, Lou Diamond Phillips, George Clooney, and Brad Pitt. Taiwo Heard has been doing sound for Indie Films for over a decade. He works in production sound and post sound as well as other audio jobs. It was a pleasure to have him on the Indie Film Grit podcast to share his insights with us. We talked about steps you can take to improve the overall quality of the audio. Taiwo says something as simple as closing a window shows that you've given some thought to the the sound design and the environment youre recording in. He describes different audio set-ups, the emotional impact of sound, the elusive foley pit, and his passion for sound design. In this first episode, I wanted to introduce myself to everyone out there listening to the Indie Film Grit podcast. I talk a little about some of the short films I've made, what I learned in college, the moment I knew I wanted to be a filmmaker, and my experiences with film festivals. Over the years, I have realized that being an Indie Filmmaker isn't easy and to succeed you gotta have the grit. 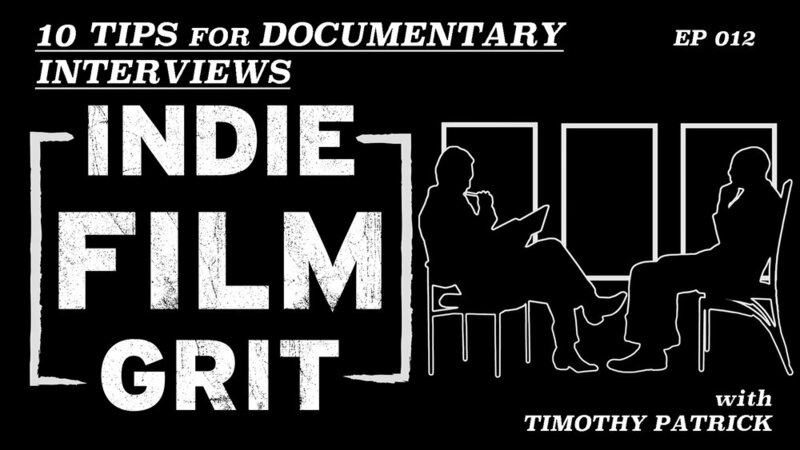 Enjoy the episode and check out all our insightful episodes of Indie Film Grit. The Booker from Off Tatum Productions on Vimeo. Sign up to receive Indie Film Grit news.